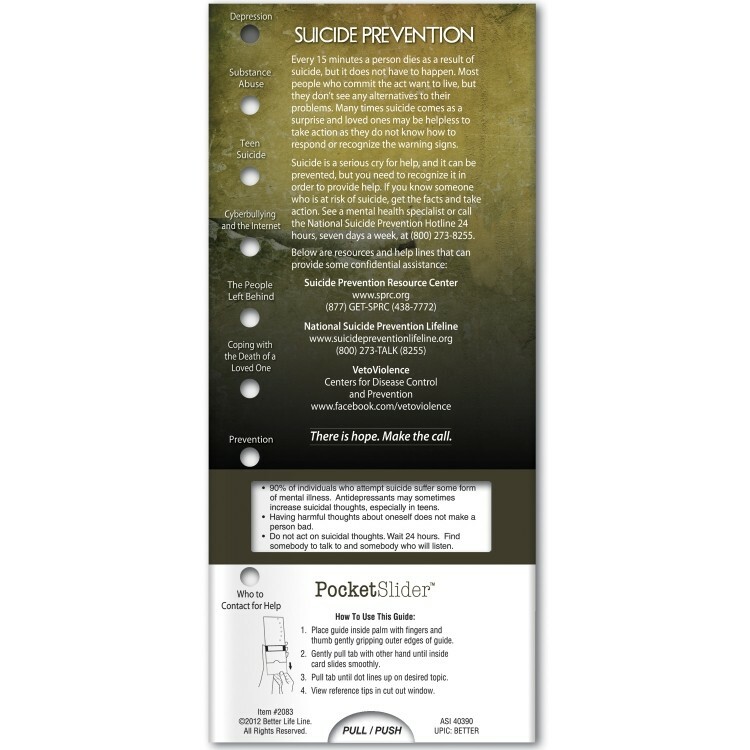 Learn the risk factors, warning signs and who's at risk for Suicide in this informative Pocket Slider which discusses this sensitive subject. Topics include cyber-bullying, teen suicide, how to help someone who is contemplating suicide and how to cope with the loss of a loved one to suicide. Also includes resources for getting help and advice. 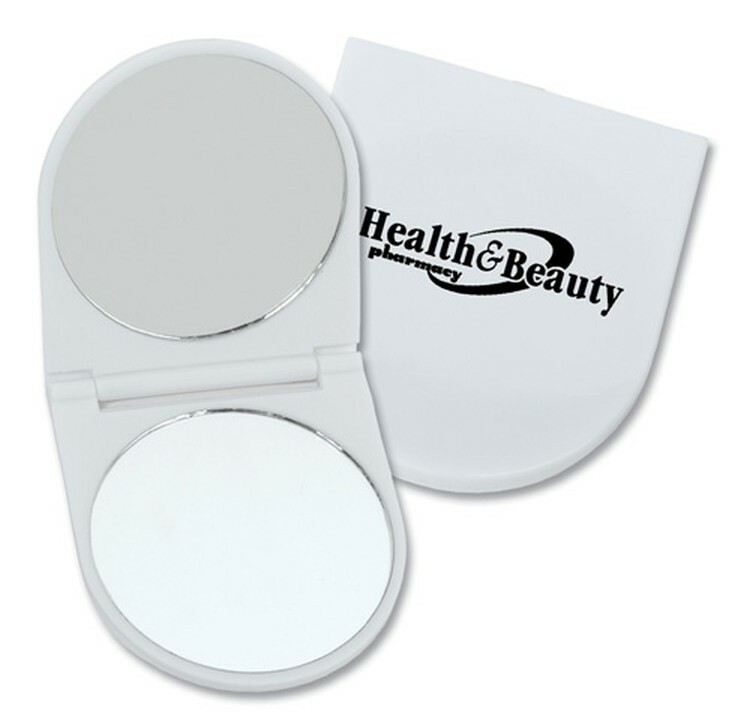 Features one magnified and one standard mirror. Features include six pre-threaded needles, two safety pins, three buttons, two snaps, an emery board and a small bandage. Anyone who’s worried about a dwindling bank account balance, or who’s struggled to pay the bills each month can benefit from this expert guide to budgeting. 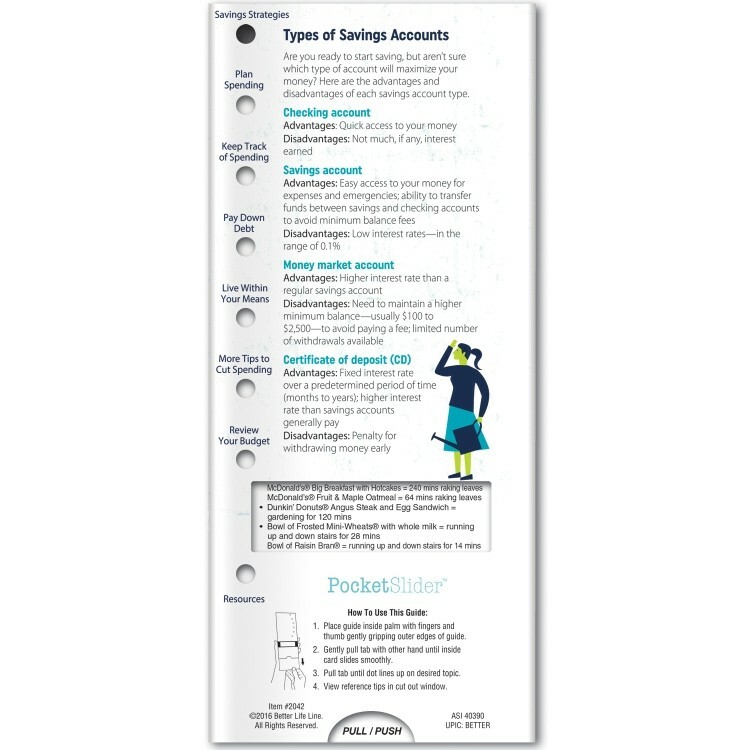 It offers valuable strategies for saving more, spending less, and paying down debt. 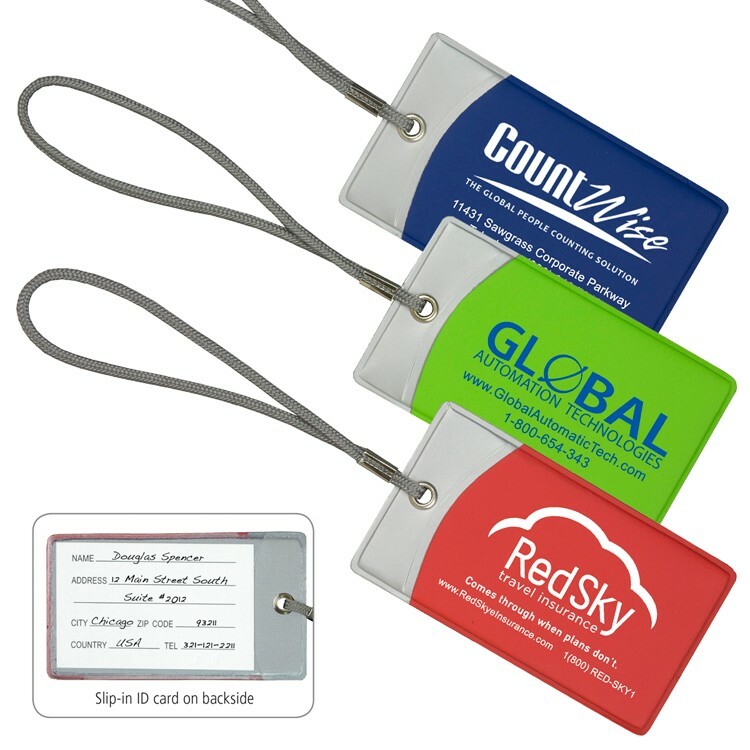 The reverse side of these tags have an imprinted identification panel for writing your name and address information. 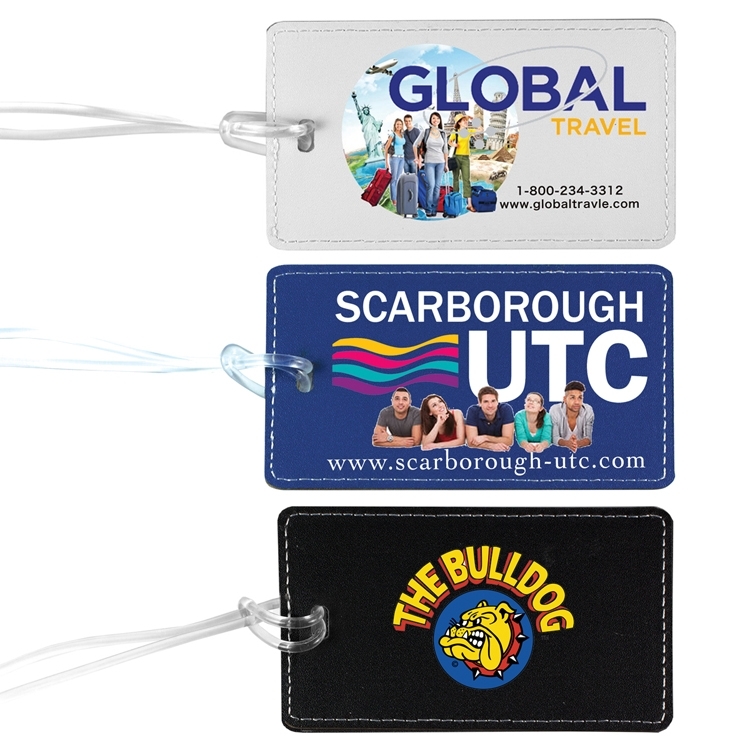 Features elegant white stitching on faux leather PU material with a clear slip in pocket on the back for a business or ID card. 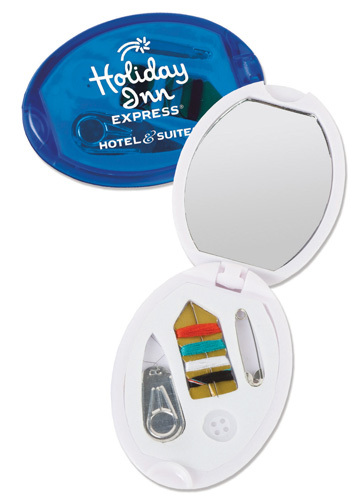 Comes with a clear luggage strap and blank ID card. 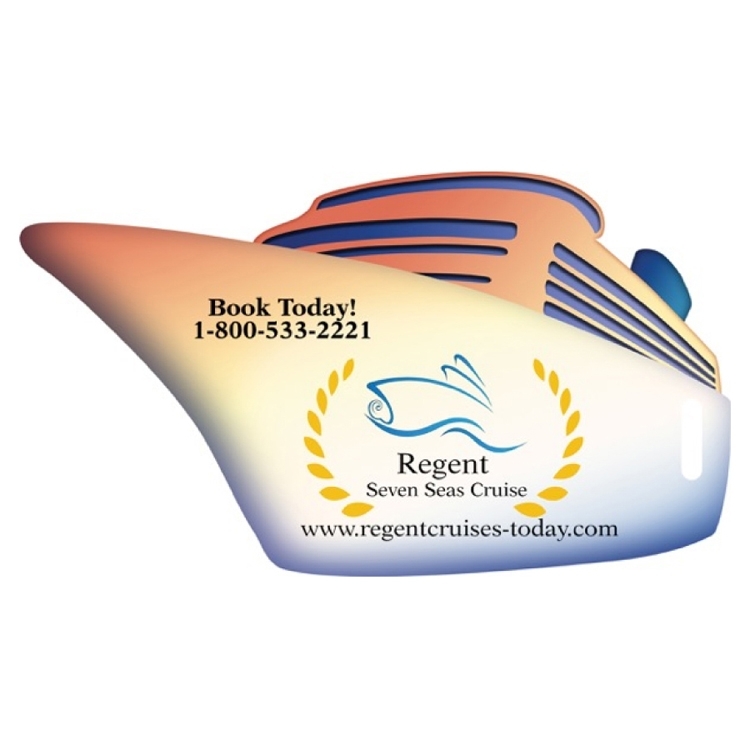 Spot Color or Photoimage ® Full Color Process imprint available. The Themed background is included in the price. 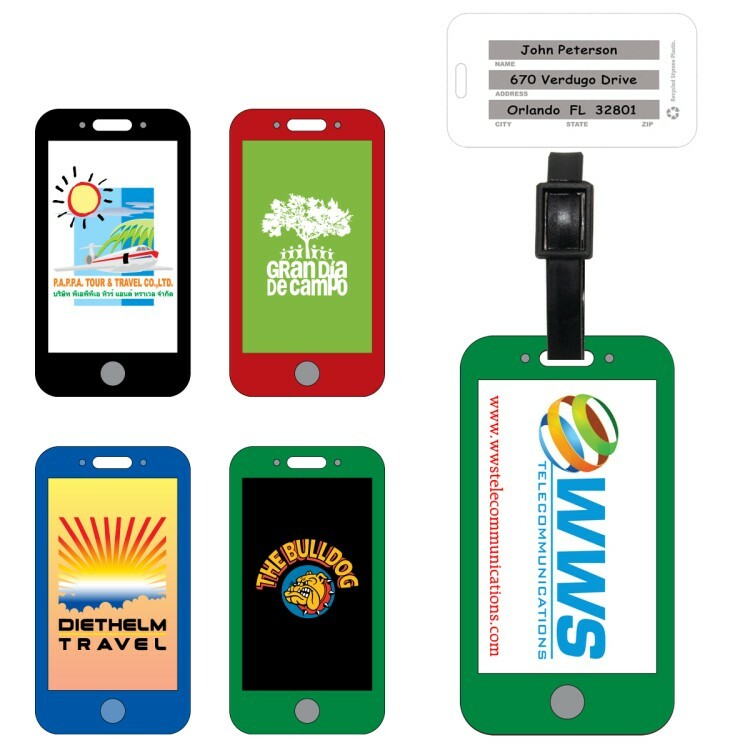 The reverse side of these tags have an imprinted identification panel for writing your name and address information. 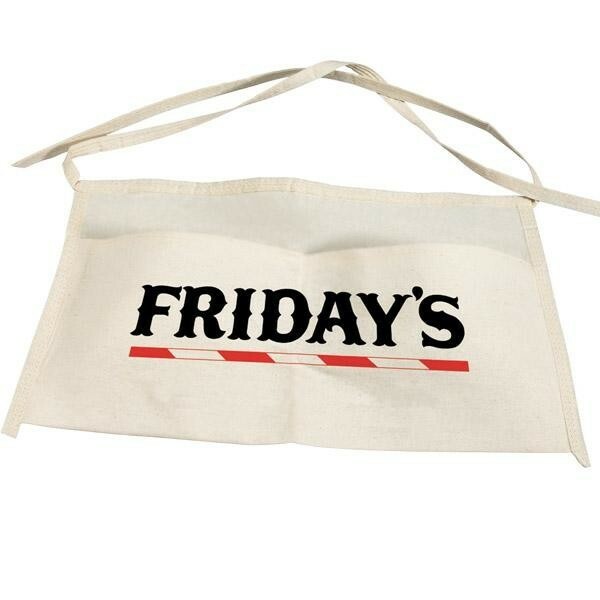 Made from recycled styrene plastic. 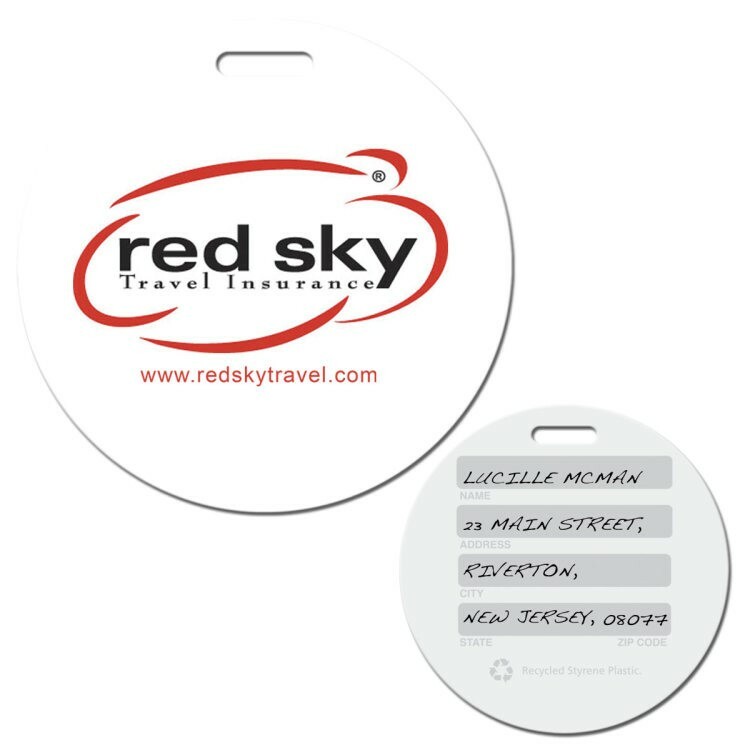 This economical brushed aluminum luggage tag is a first class bag tag with coach class pricing. 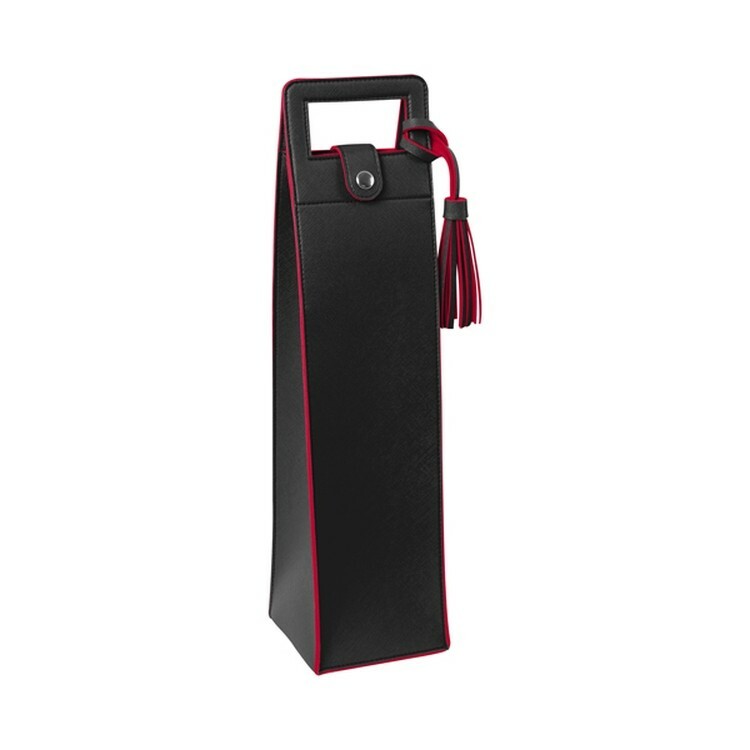 It features a black leatherette luggage strap with silver accents. 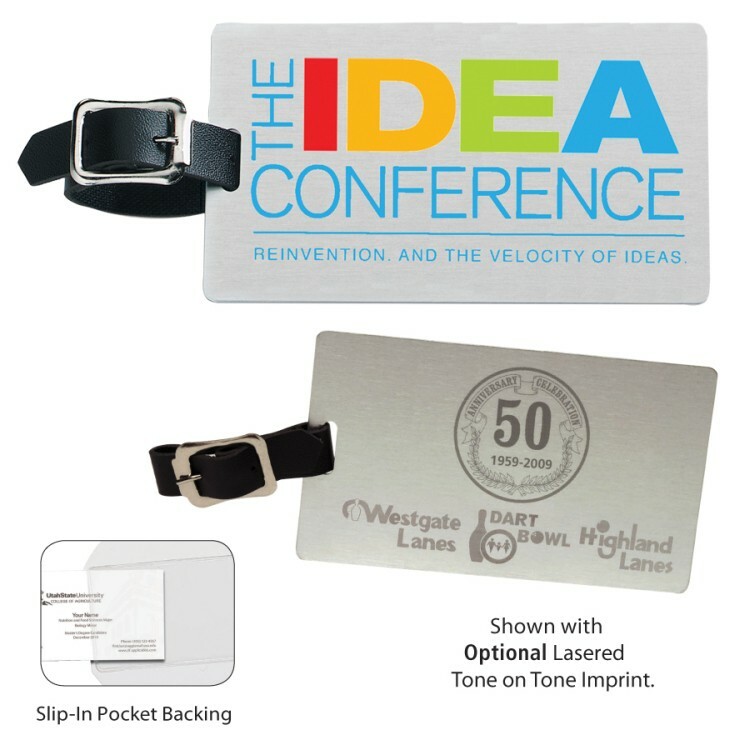 Available with a spot color or Full Color Imprint. 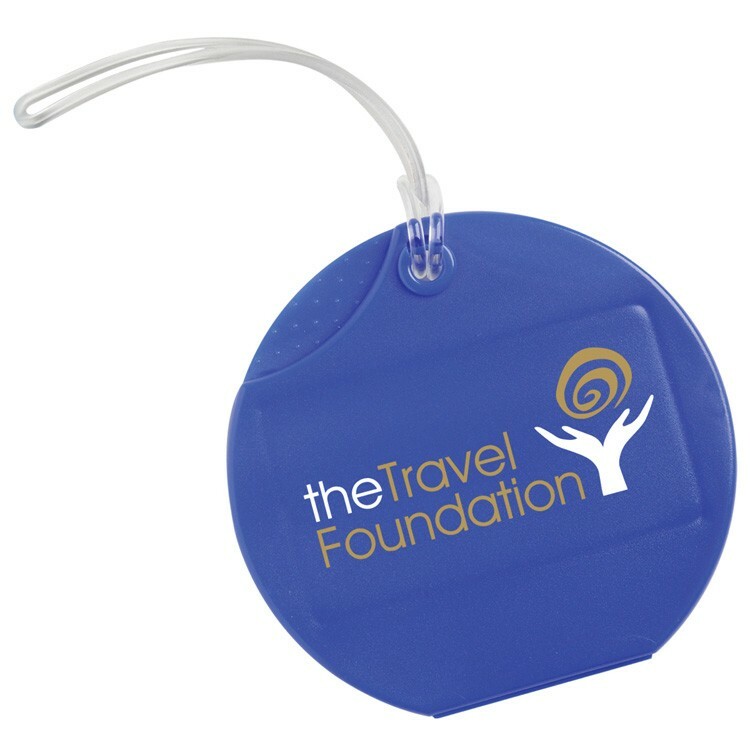 The back side of the tag features a clear slip in pocket to hold your business or ID card. 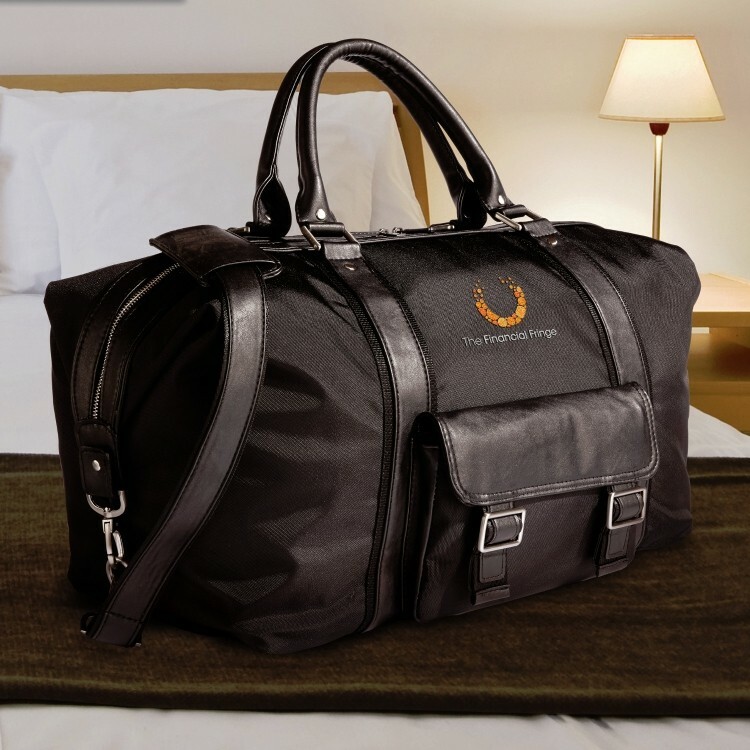 The World Traveler duffel bag is the perfect bag for you because you are going places. 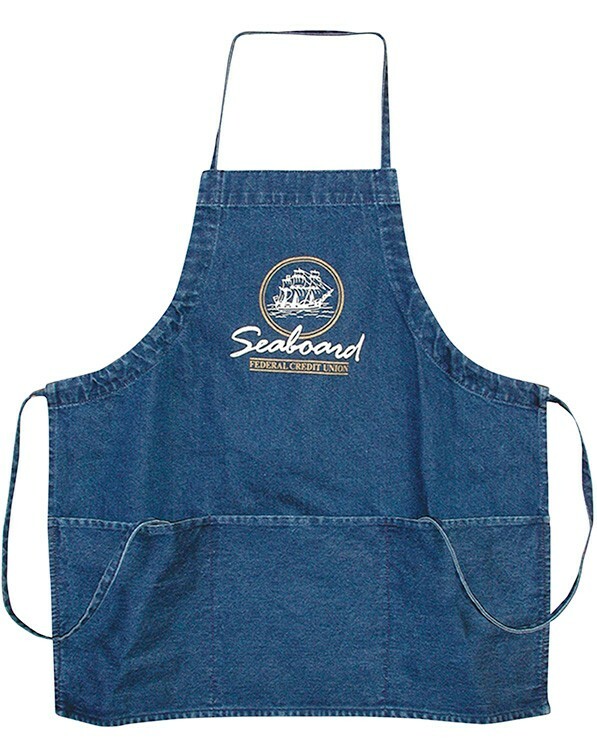 With a strong 900 Denier polyester outer shell and durable twill polyester lining, this handsome bag features heavy-duty hardware and a luxurious trim. 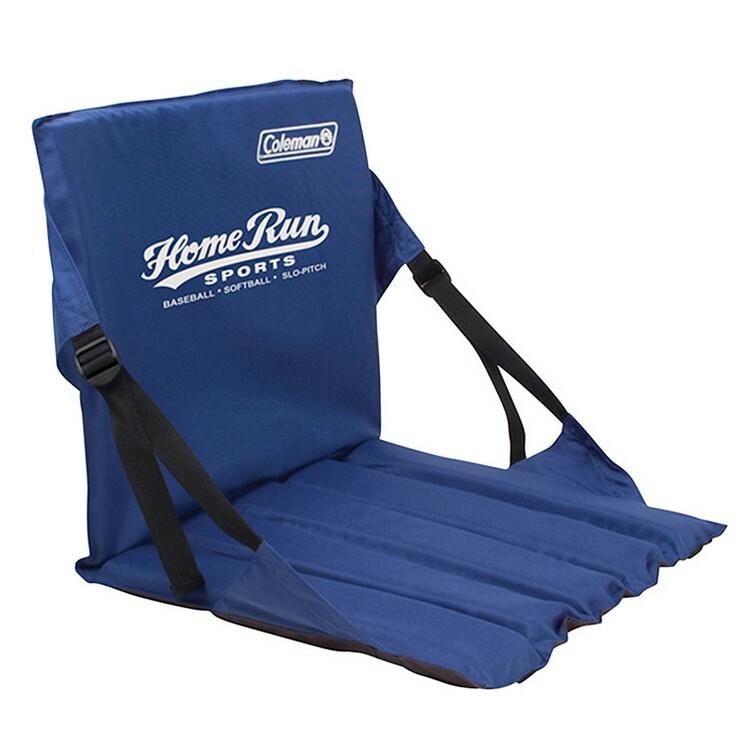 The adjustable shoulder strap allows for carrying ease and the generous main compartment expands to hold your gear. 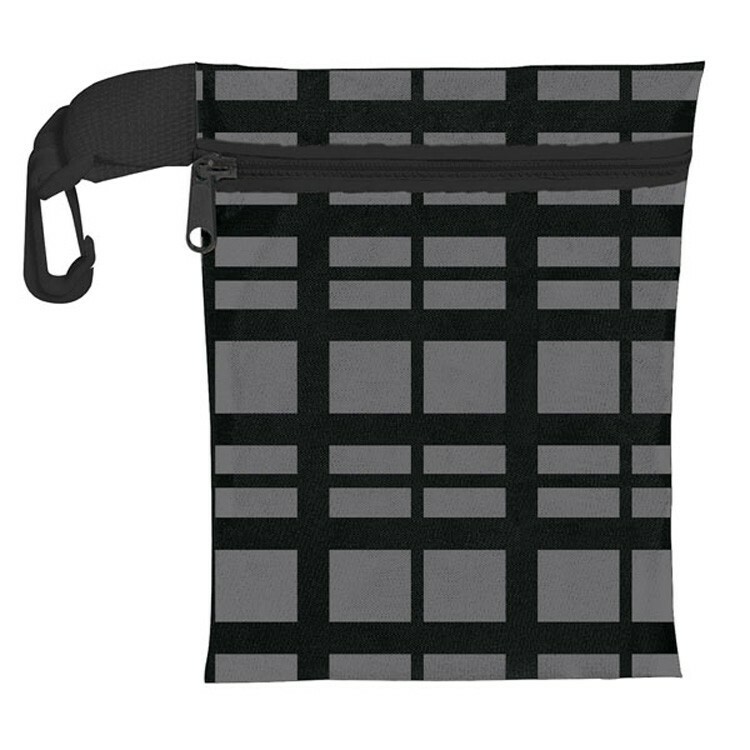 Measuring 14" h x 19" w x 9" deep, this carrier has a double-secure zippered front pocket with magnetic snap closures. 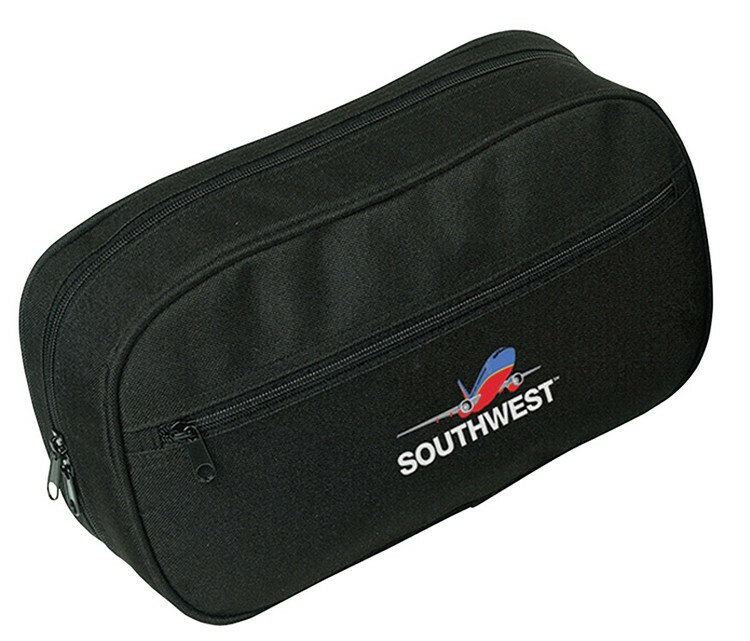 The High Sierra Underseat Luggage is designed to fit under an airplane seat. 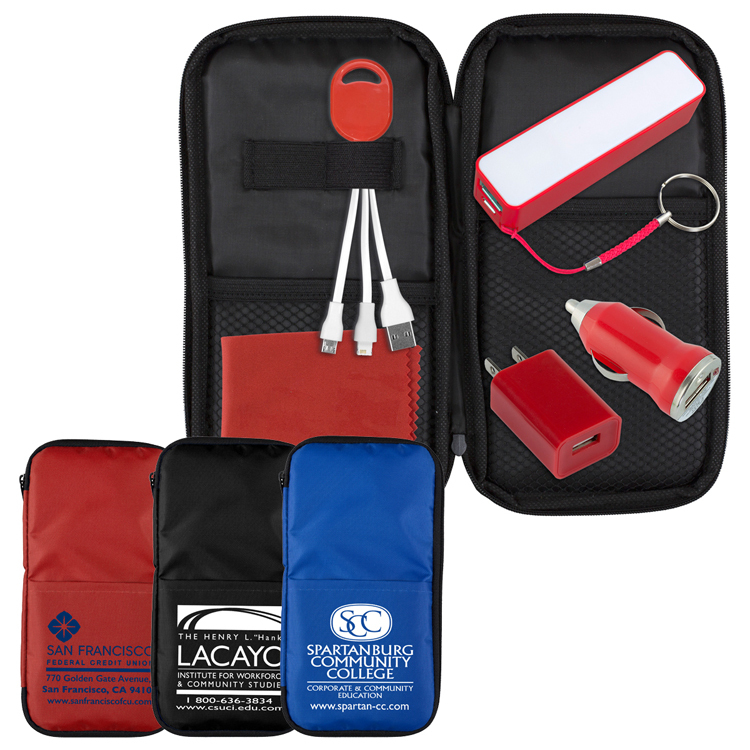 The piece includes a front pocket organizer, top quick access pocket, interior mesh pocket and a side water bottle pocket. 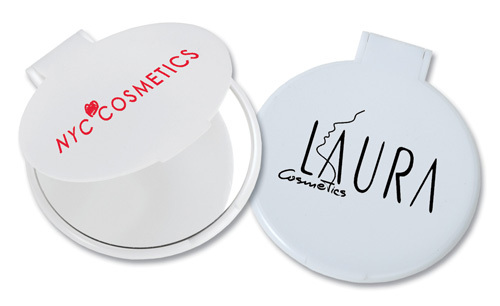 The interior PVC toiletry pocket keeps your liquids safe. 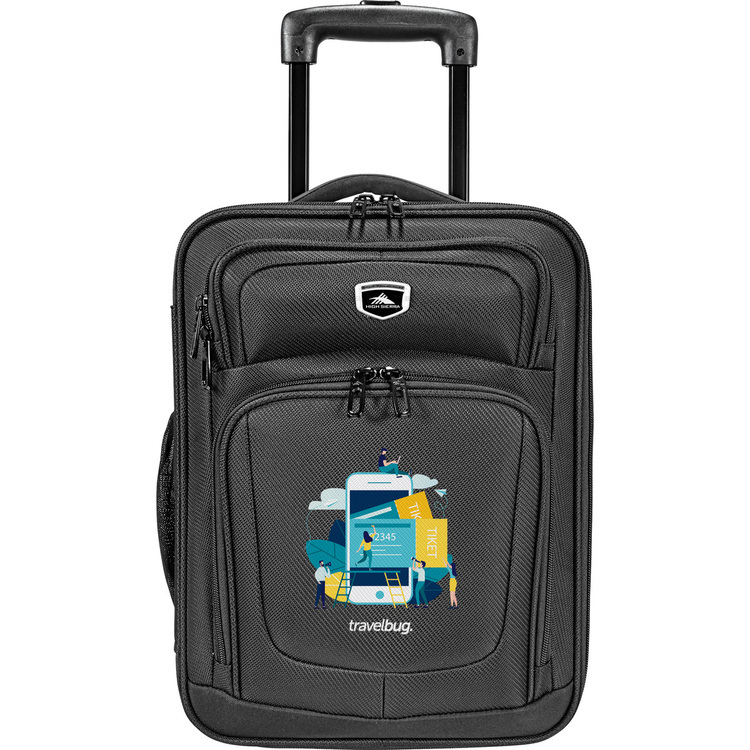 With a multi stage trolley handle and back side trolley strap, this bag is perfect for travel. Stay cool with our new dye sublimated cooling towel! 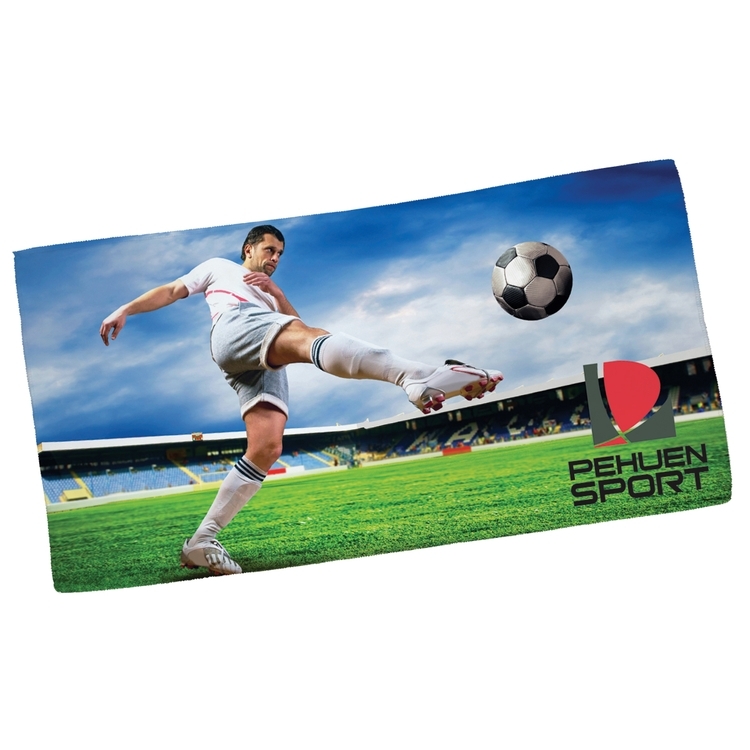 Printed with a stunning full color dye sublimation printing, these cooling towels sure to impress at the gym, pool, beach, outdoor workout, or any sporting event. 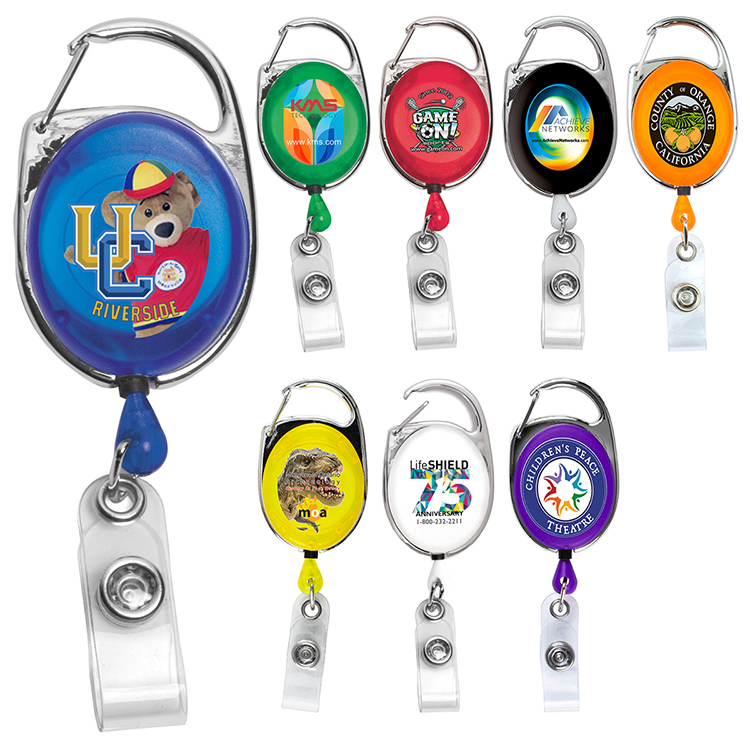 Great promotional product for giveaways, promotions, or just for fun! Compare and save. 2 oz. 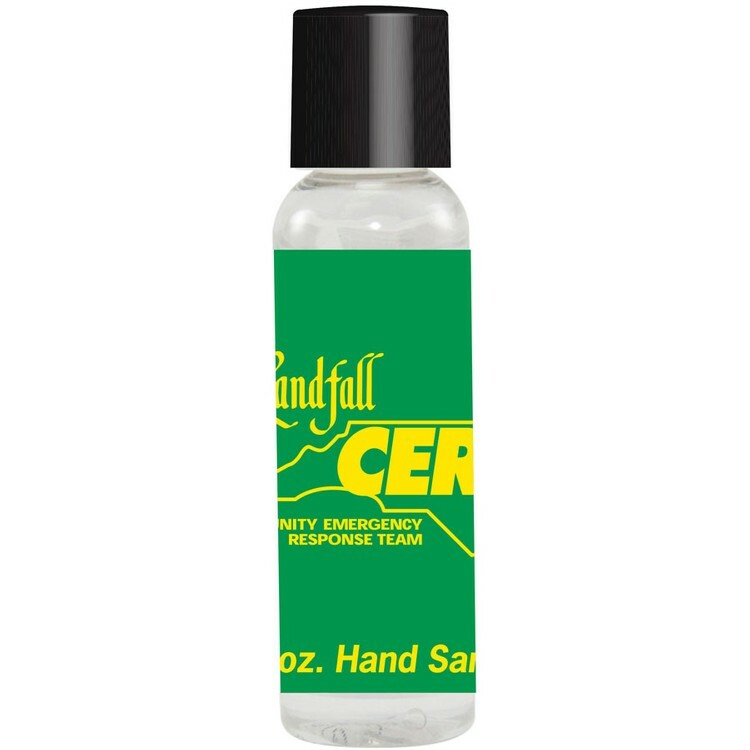 instant hand sanitizer with aloe moisturizer and citrus scent. 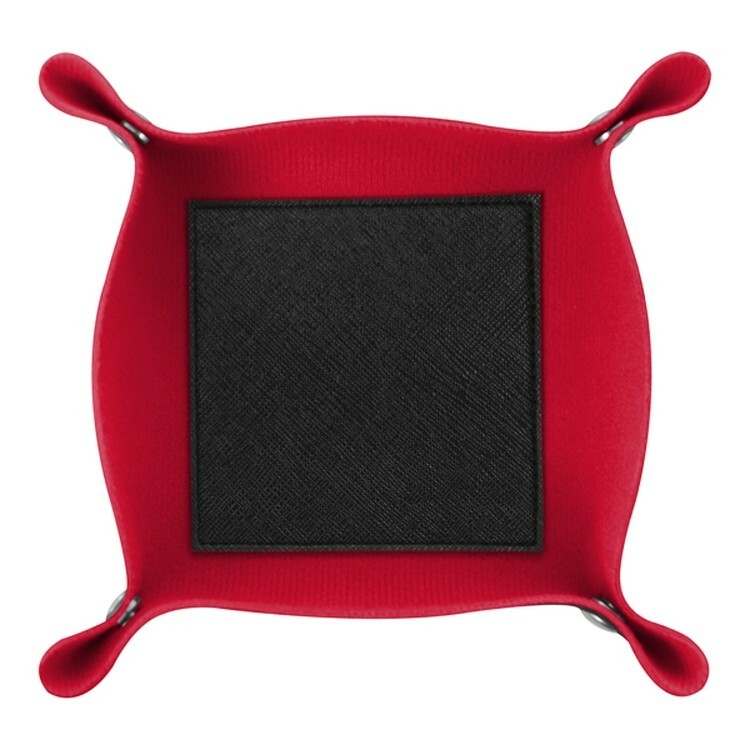 Price includes a 4-color process laminated decal. Lamination protects your investment. Contains 62% alcohol. 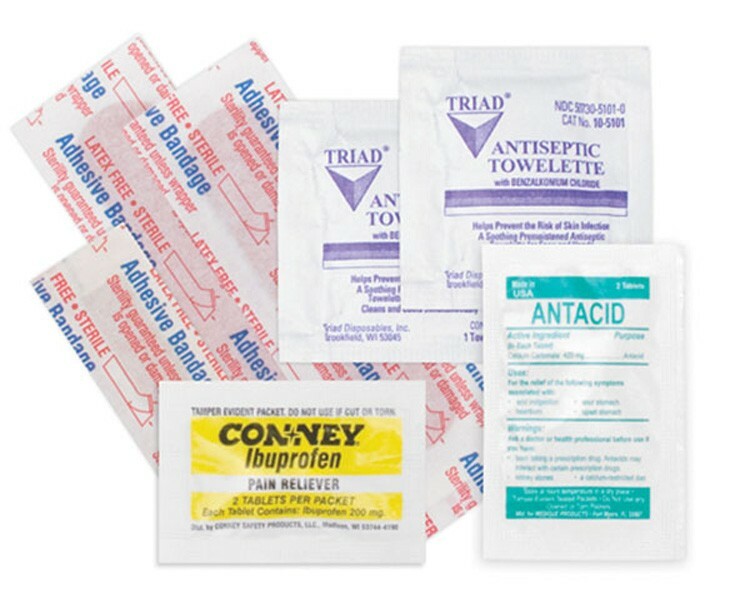 All alcohol based sanitizer is shipped according to the DOT Hazardous Materials Guidelines for ground and air shipments. 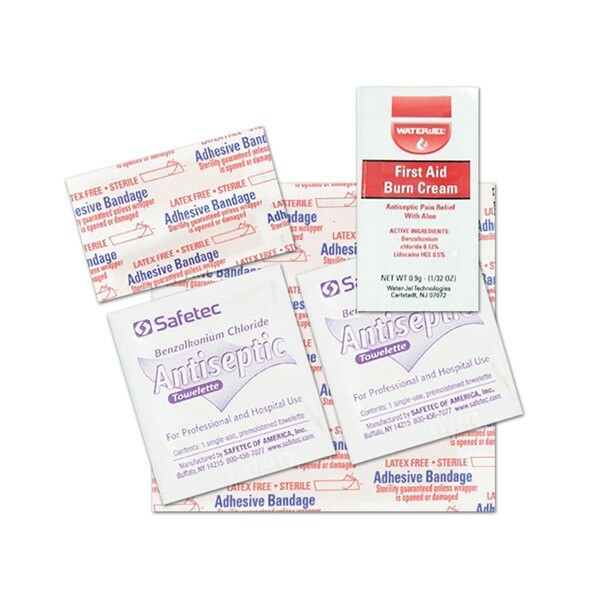 For air shipments only, please add $75 per shipping box. 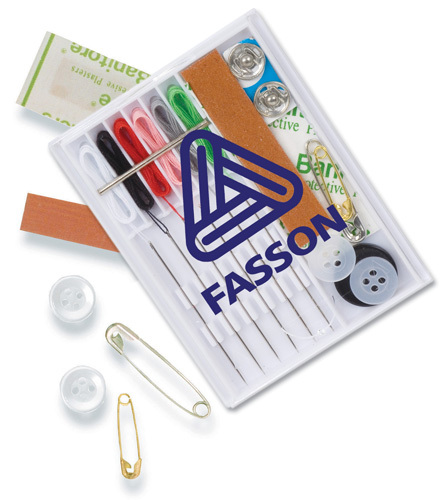 Sew kit includes safety pin, button, needle threader, sewing needle and four colors of thread.